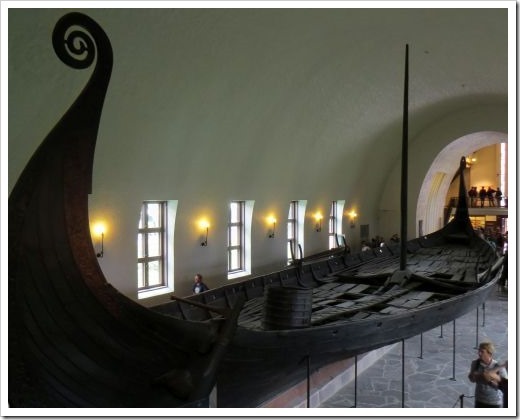 Hubby and I had an awesome holiday in September and visited the Baltic area along with parts of the Mediterranean. 1. 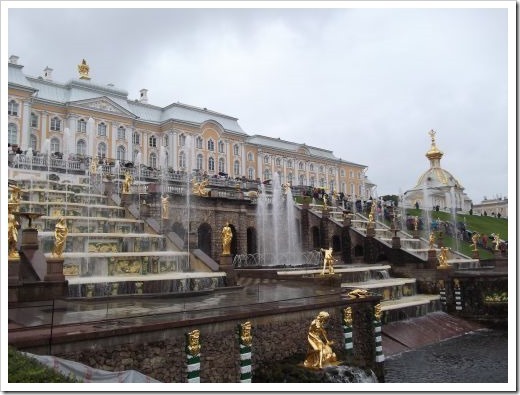 Visiting St Petersburg, Russia and gawking at some of the many treasures displayed in the palaces and mansions. So many valuables everywhere! 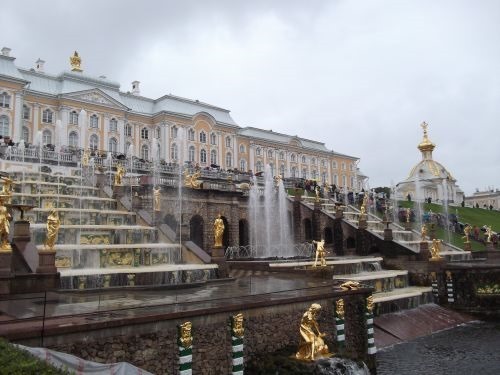 Peterhof Palace and the gravity fed fountains in front of the palace. They’re switched on a 11.00am each day. 2. Eating fresh wild blueberries purchased from a Helsinki market. Hubby ate the reindeer meatballs and some tiny fish. 3. 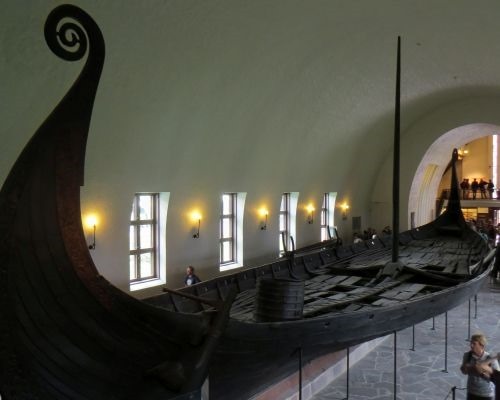 Seeing the Viking Museum and the incredible boats, which are still mainly intact in Oslo, Norway. 4. 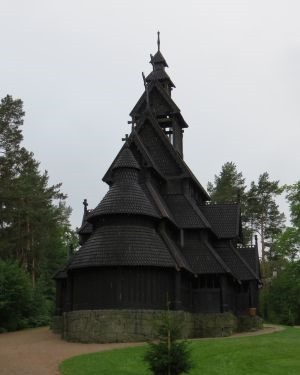 Visiting the Folk Museum with the range of old buildings that have been relocated to make a village. 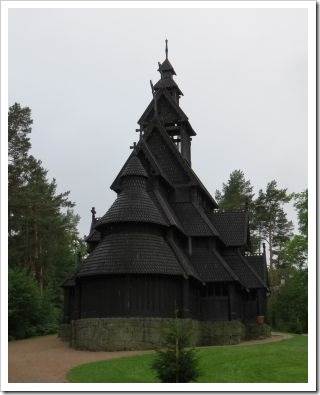 Loved the Stave Church and the buildings with grass growing on the roofs. Saw a man up on a roof, mowing the grass. 5. 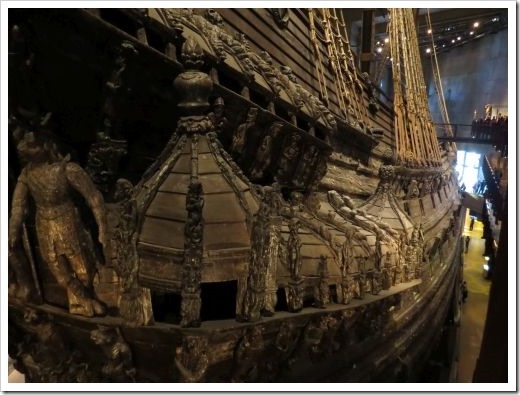 The Vasa Museum in Stockholm. 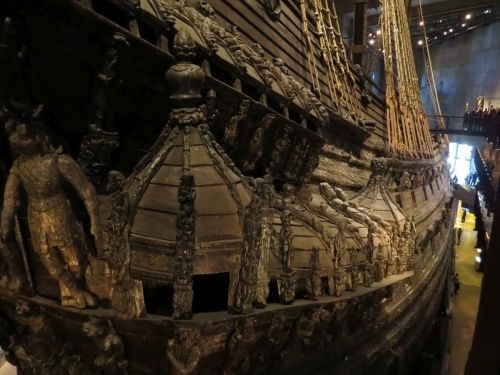 The Vasa is an old ship that sank in the harbor on its maiden voyage. The king had ordered more cannons, which wasn’t a good idea! Who was going to argue? 6. Dubrovnik – a place I’ve wanted to visit for ages. We spent far too long in the heat, wandering around the walls of the old city and exploring the buildings inside. 7. Corfu – exploring the old fort and finding a taverna for lunch. Delicious! 8. Venice. 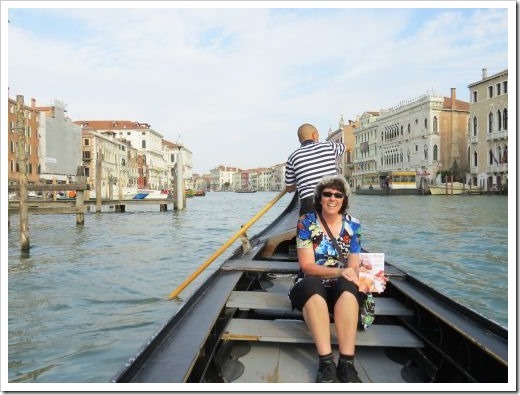 I love Venice, and it’s never a hardship to get lost in the back streets. It was the Regatta on the day we were there, and we saw the parade of old gondolas down the Grand Canal. Discovered a fun place to have a drink (The Corner Pub), tried a peach bellini and had a hazelnut gelato. Yum, yum, yum! 9. Visited Gibraltar and caught the cable car up to the top of the Rock. Got up close to the Barbary apes that make the Rock their home. 10. Visited London where we lived for six years and hadn’t realized how much I missed this city. It was the same but different too, with lots of rebuilding going on. 11. Made quick visits to the British Museum and the Victoria and Albert Museums. So much history and lots of fascinating things to gawk at. 12 Walking around many of the London sights. Walking in Hyde Park and visiting the pubs where we worked in London. Walking, walking, walking until our feet ached. 13. Afternoon tea at the Ritz. Expensive but such a lot of fun and so memorable. Scones with jam and clotted cream, tiny sandwiches and lots of delicious cakes plus lots of tea. Oh, and a glass of champagne to start. 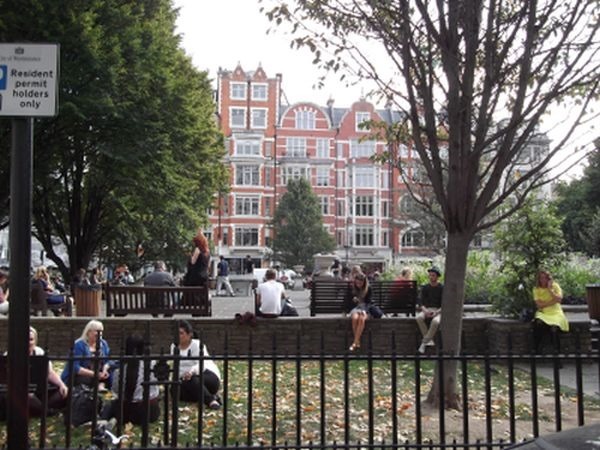 Visitors to London will notice there are lots of green areas in the Westminster and central city areas. Some offer workers a breath of fresh air and a place to while away their time during a lunch break while others are a private oasis available to the surrounding homeowners. 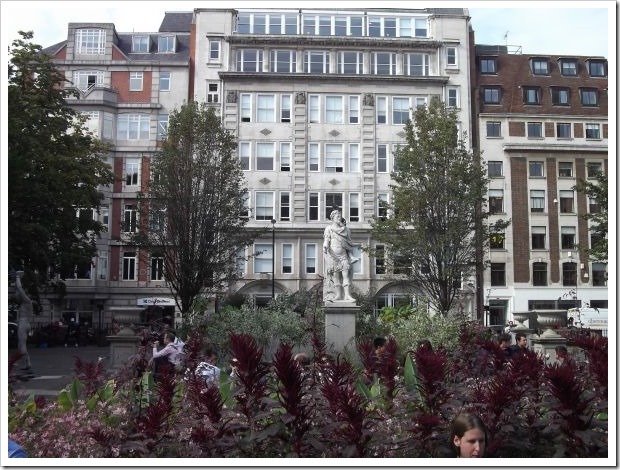 London’s squares date back to the mid 17th century. They were an English concept, copied by other cities and countries. 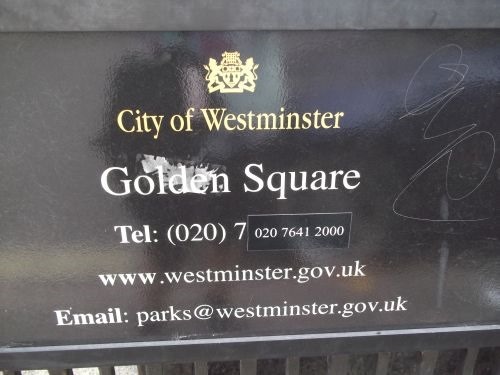 Golden Square (thought to originate from Gelding Close when the land was used for grazing horses) began life in 1673 when John Emlyn and Isaac Symball initiated development here. 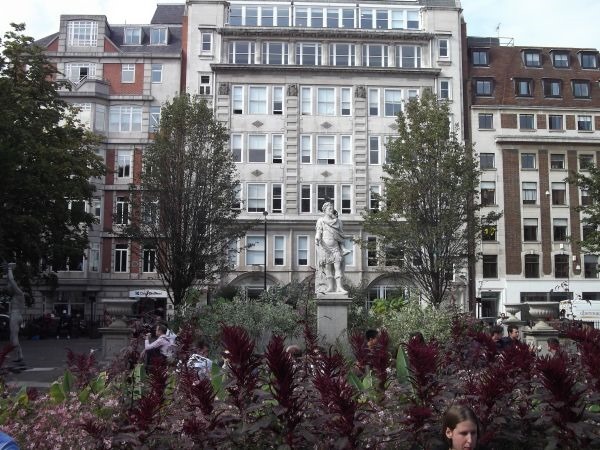 Early residents of the thirty-nine houses that surrounded the square were the Duke of Chandos, the 1st Viscount Bolingbroke and the Duchess of Cleveland. 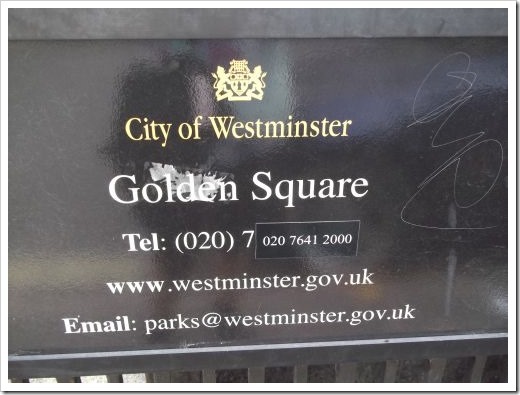 During its early years the square was a political centre and a sought-after address. This changed by the 1750s when newer and more fashionable addresses to the west on the Burlington estates became favored. Foreign diplomats moved in from 1724 to 1768 and later 18th century residents included dancer Elizabeth Gamberini and singer Caterina Gabrielli. 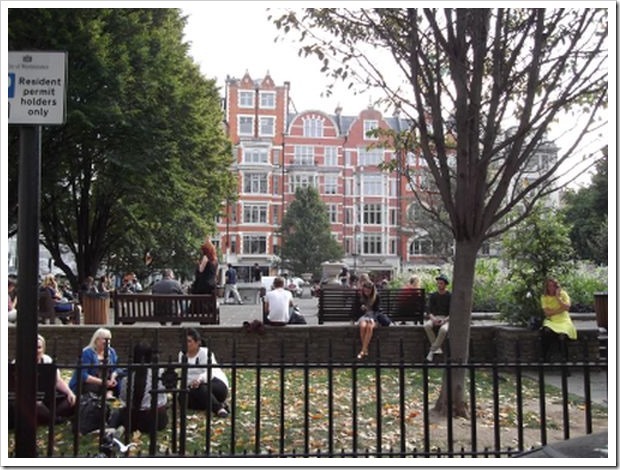 Charles Dickens used Golden Square as a setting for one of the houses in his novel Nicholas Nickelby in 1839. The woollen and worsted trade moved in toward the end of the 19th century. During the Second World War an air raid shelter was dug beneath the garden and the iron fence taken for salvage. Restoration work took place after the war and the garden was opened to the public in November 1952. We visited on a sunny weekday and the square was full of workers eating their lunches. Not a bad place to be during a lunch break. I’m currently reading Eavesdropping on Jane Austen’s England, How Our Ancestors Lived Two Centuries Ago by Roy & Lesley Adkins. While the title mentions Jane Austen and there are excerpts from her correspondence, this book really deals with birth, life and death during the period of Jane’s life – 1775 to 1817. I find some non-fiction titles a bit dry, but I’m actually reading a lot of this one. A good sign! 2. Forced marriages were commonplace – either in the case mentioned above or one arranged by parents to ensure their children were secure. Happiness was secondary to wealth. 3. Finding a suitable husband was difficult and stressful since men were in short supply due to war injuries and fatalities. Also those in apprenticeships weren’t allowed to marry. 4. Weddings took place in the church, and they were low key compared to our modern day weddings. 6. Divorce was difficult. There was, however, a poor man’s version of divorce where a man could sell his wife. It was thought if a man tied a rope around his wife’s neck and led her to a public place then sold her this was a binding and legal transaction. Sometimes these sales were pre-arranged. Sometimes the wife was agreeable to the sale. 7. When a woman lost her husband she could be thrust into dire straits because property and wealth was generally passed to a male heir. Therefore many widows remarried fairly quickly. 8. A successful marriage was one that produced children. Women were constantly pregnant and many women died in childbirth. 9. Multiple births were rare and were to the people of the time, remarkable. The news of a multiple birth would make the paper. 10. Living conditions were crowded and privacy scarce since most of those with modest incomes housed their servants. Life was a constant round of banging doors and chatter. 11. Servants could be found at hiring fairs or by recommendations from friends or family members. In 1777 there was a tax on male servants and in 1785 those who employed female servants were also taxed. 12. Coal was the main fuel for households and a fire was the central point of each room, providing heat and light. Smoke could be a problem, filling rooms on windy days or if the chimney became blocked. 13. Unattended candles caused a lot of house fires. In larger towns there were fire brigades who mainly dealt with insured properties (those with a fire mark to prove they’d paid their insurance). I have a new release today. 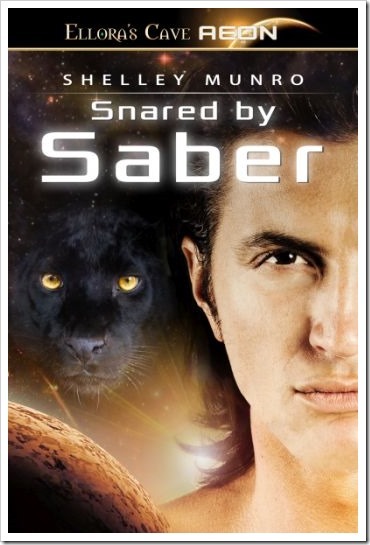 Snared by Saber is the first book in my new series Middlemarch Capture. For those of you who enjoyed my Middlemarch Mates series, Middlemarch Capture features the descendants of those characters. When a feline virus on Earth wipes out much of his race, Saber Mitchell moves his shifter family to the jungle planet of Tiraq. To provide an income—and keep the testosterone-fueled males from killing each other over the lack of mates—Saber opens Middlemarch Resort, specializing in women’s capture fantasies. Unbeknownst to the women, some captures will be more permanent than others. 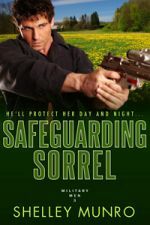 Saber has no plans to find a mate himself…until a capture goes awry, landing both him and “kidnapped” guest Eva Henry on the other side of the huge island. Saber must face birds, beasts, hungry natives and Eva’s own penchant for escape to see her safely back to the resort. Keeping his hands off her proves impossible…even after Saber learns mating Eva comes with bigger, more dangerous troubles than all their jungle perils combined. 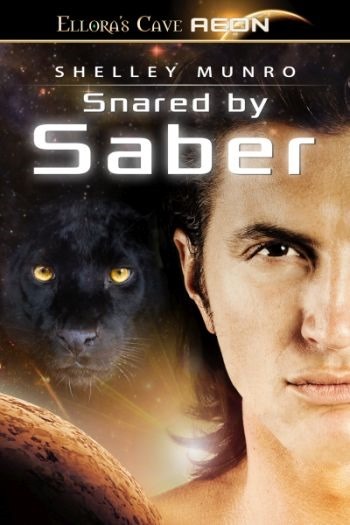 Snared by Saber features all my favorite elements – a sci-fi setting, feline shapeshifters, family and adventures. I hope you like it. Currently available at Amazon and Kobo . Snared by Saber should be available at other online retailers very soon.